« PreviousIT services can be expensive when failure strikes! London river crossing problems continue to grow. London’s population is now forecast to be 10m by 2031 and 11.5 by 2050. Most of this growth will be in east London. The hot topic for business in the local area is what can be done to improve the river crossing if you are in a vehicle? Over the last 20 years there has been huge investment in public transport with the DLR, Jubilee, East London line and soonish (2018) to be completed Crossrail. The increase in traveller capacity has made a huge difference. But what about cars, buses and lorries? 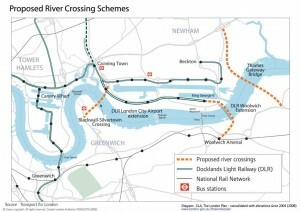 Well, the simple answer is there has been no investment in London river crossings. There are 22 river crossings to the west and only two tunnels (Rotherhithe and Blackwall) between Tower Bridge and Dartford, not forgetting the ageing Woolwich Ferry. Free flow will be introduced to Dartford very soon, which will help ease congestion. A humorous irritation of queuing behind someone for 30 minutes only to have to wait even longer whilst they try and find the £2 they need when it’s their own moment of glory. Today Richard de Cani, Director of Strategy and Policy from TFL spoke to the London Chamber members about the options currently being discussed. The good news is 1 tunnel and 2 bridges are under serious consideration. 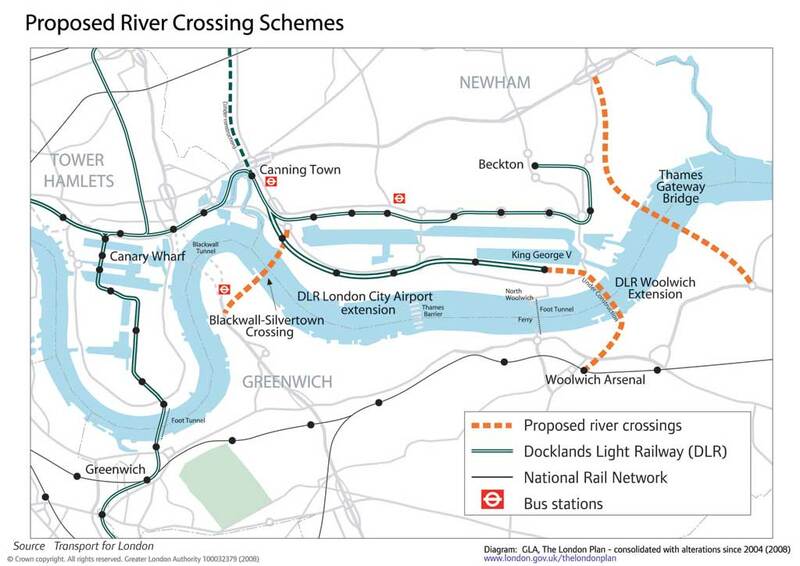 The most likely is another tunnel using the Blackwall approach to Silvertown. This proposed tunnel will not suffer from the over height issues that currently plague us with lorry drivers who cannot read or hope by letting their tyres down, think they’ll fit under the height barrier. Consultation starts at the end of this year and could be in place in 4 -5 years. All new crossings will incur a toll fee to cross, required to help manage the control of traffic more than an issue to generate revenue, do we buy this argument? Will the charge be extended across the whole of London, not in the West so why in the East? Swing bridges are not an option, apparently we don’t want to wait 20 minutes whilst an occasional tall ship plods up the Thames. Personally I’d prefer to have the option to wait 20 minutes rather than sit in the current queues. More crossings, more options please. Tunnels are better but more expensive, surely the expense is a drop in the ocean (sorry river). Bank bailouts and Crossrail billions come to mind. I would wager many a long term investor would happily commit their pension fund to the kind of returns another crossing would generate. Tall bridges need longer approach roads, this adds to the complexity of the local environment but they are cheaper, depends on how you work out value I suppose! The growth figures for East London are huge and with already congested roads it’s a necessity the government provide infrastructure that will help business and local people prosper.